The Pauline Minguet and Marc Berthier designed Cube alarm clock can more than its simple appearance might reveal. 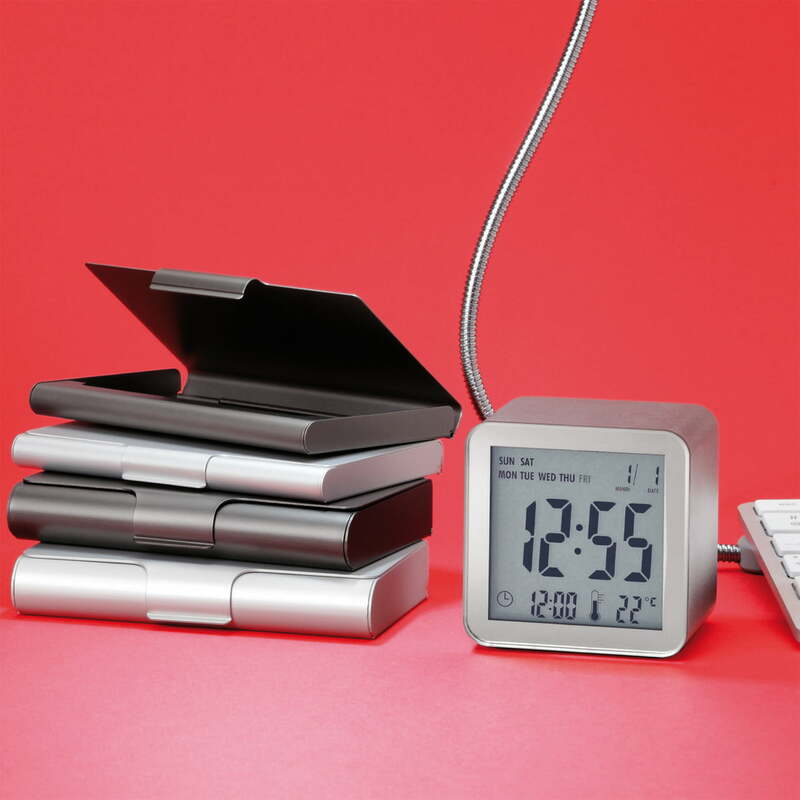 The designers’ piece by Lexon has all the functions, a good alarm clock should have. The cube-like design with the same edges-length at all its sides consists of aluminium. 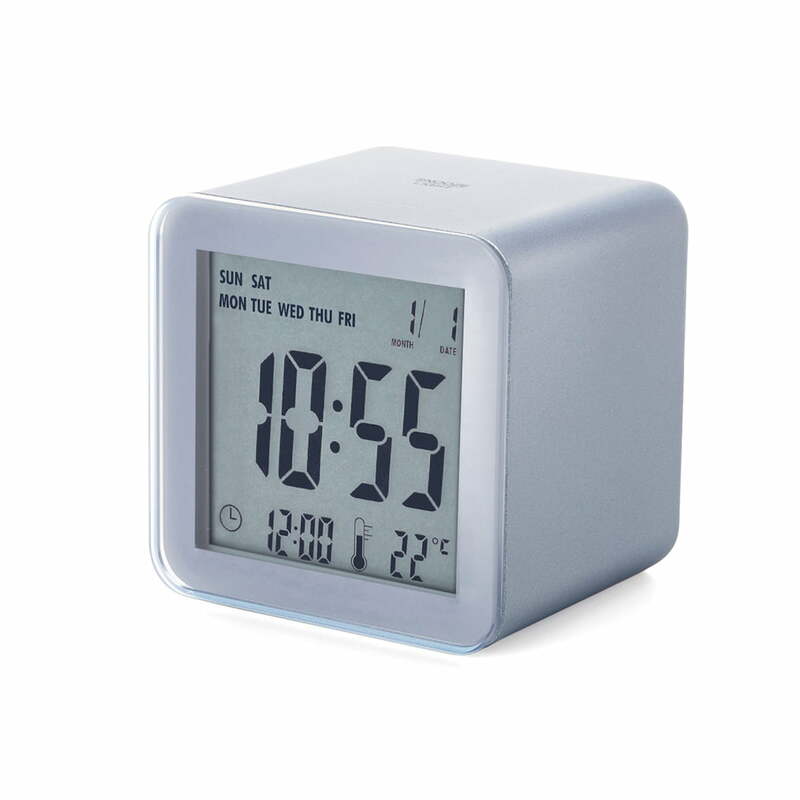 While the surrounding ring is available in different colours, the Cube Sensor LCD alarm clock displays the time and other information on its silver front. 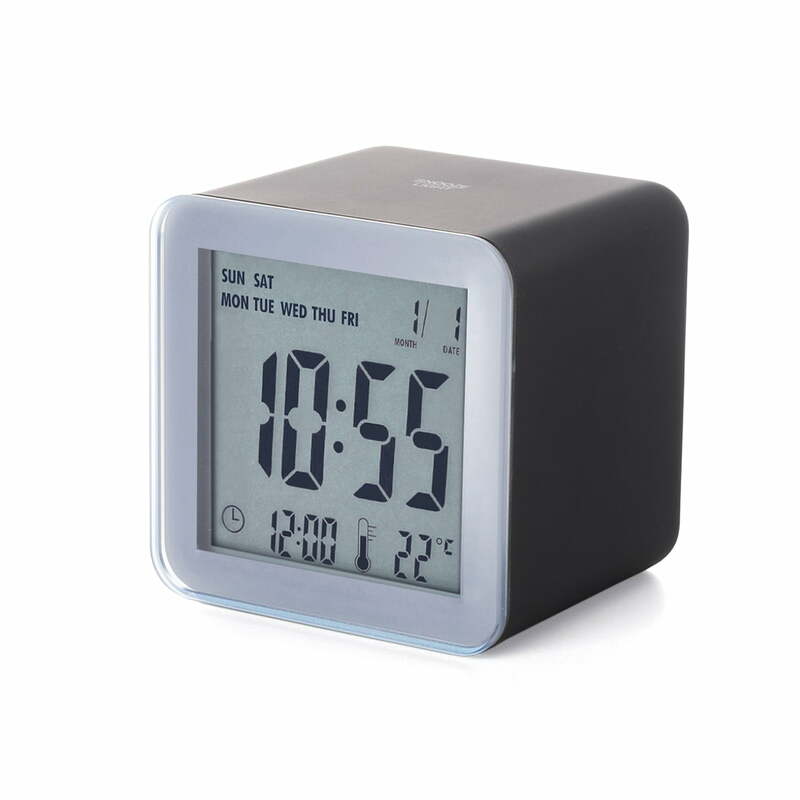 The Lexon Cube LCD alarm clock is powered with batteries. The name giving LC display has the information you need prepared all the time: Time, week-day, date, temperature and waking time. With a touch-sensor you will be able to activate the Snooze-Function and the display illumination.